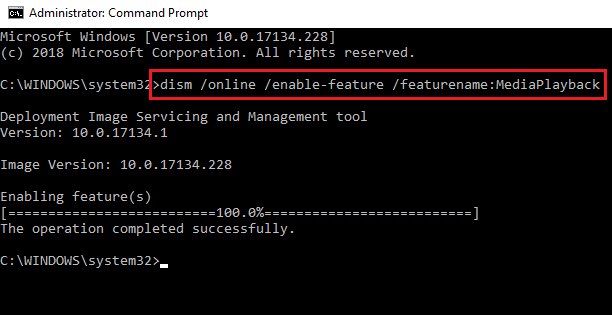 [Manual & Automatic] Top 3 Solutions to Fix Windows 10 Mfplat.dll Error? Are you unable to run PLEX or any other streaming service due to the Mfplat.dll error? If your Answer is YES then you are at the right place, today we will discuss all the aspects related to the Mfplat.dll error and try to fix this issue. This DLL Error is a very irritating error that may appear very frequently preventing users from using any streaming services. Mfplat.dll error message may appear when Windows Update becomes incompatible with the version of Mfplat.dll file, this may trigger the incompatibility issue. There are many other causes that can affect this dll file and trigger Mfplat.dll error. Generally, this dll file is related to the Windows Media Feature pack. Hence, some of your installed games that use Media Feature Pack may also get affected by this error message. If your computer system is using the Windows 10 N then you may get this error message, as this version of Windows doesn’t contain the Media Feature Pack. While updating the Windows System, the Media Playback service gets disabled by a Windows Update Service. Incomplete installation of the application that doesn’t contain the Media Feature Pack. Outdated Windows 10 system and the apps required a fresh version of the Media Feature Pack. Now, coming to the point, How to Fix the mfplat.dll Missing Error? If you are struggling to get rid of this particular DLL error, then don’t worry as the below-given solutions are very simple to apply and effective as well. In order to overcome from the mfplat.dll Missing Error on Windows system you have to go with the given methods one by one and check for the error message after applying each of the solutions. As above discussed that the Windows 10 N doesn’t come with the Windows Media Player, so in this method first we will find out the version of Windows and if it is Windows 10 N then go with the further process. 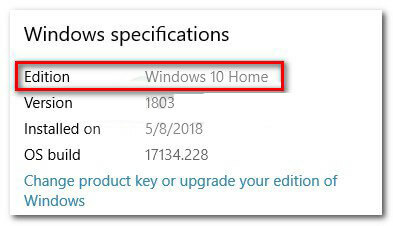 Step 1: Go to the Windows search option and then search for the “about”. Step 2: Then, go to the About this PC -> About tab of the Settings app. Step 3: Now, from the About window screen you have to scroll down to the Windows specifications and find out the Windows version present under the Edition. If your Windows’ version is Windows 10 N then you have to install the suitable Media Feature Pack. Follow the below given steps to install Media Feature Pack. Step 1: First you have to visit https://www.microsoft.com/en-us/software-download/mediafeaturepack and then scroll down to the Download section. Step 2: Then click on the drop-down menu and choose the version according to your PC and then click on the Confirm. Step 3: Wait to validate and you will see that download should automatically start. Step 5: Now, the Media Feature Pack is installed successfully and now you have to restart your computer. At last, check your PC for the error by running the application that was previously throwing the mfplat.dll missing error. 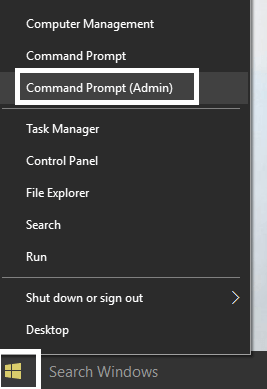 Step 1: Press the Windows + X and then select the Command Prompt (admin). If any UAC (User Account Control) prompt appears then click on the Yes. Step 3: At last, exit from the elevated Command Prompt and then try to open the faulty application. If you are getting this DLL error message just after upgrading to the Windows 10 from a previous version then you can fix this issue with the help of windows.old folder or fetching an old copy of the mfplat.dll file from this OLD folder. Step 1: Navigate to the system drive and then search for the windows.old folder. This is the folder that stores a copy of your old operating system and other related files. Step 2: Double-click on the Windows.old folder to open it and then go to the syswow64 folder. Step 3: You will find out the copy of mfplat.dll file inside the syswow64 folder. You have to copy and paste this dll file into the C:\ windows \ syswow64. Restart your system or laptop and check if the error message has been fixed after the next boot. That’s all about the mfplat.dll error file, and it is hoped that now your system is running without any error code. If you are still getting this error message or unable to apply the above given manual methods then you should go with the professional PC Error Repair Tool. This is the only tool that will help you to fix all types of Windows 10 errors without need of doing anything manually. If you are new with the Windows system or not able to apply anything manually then scan your system using PC Error Scanner. 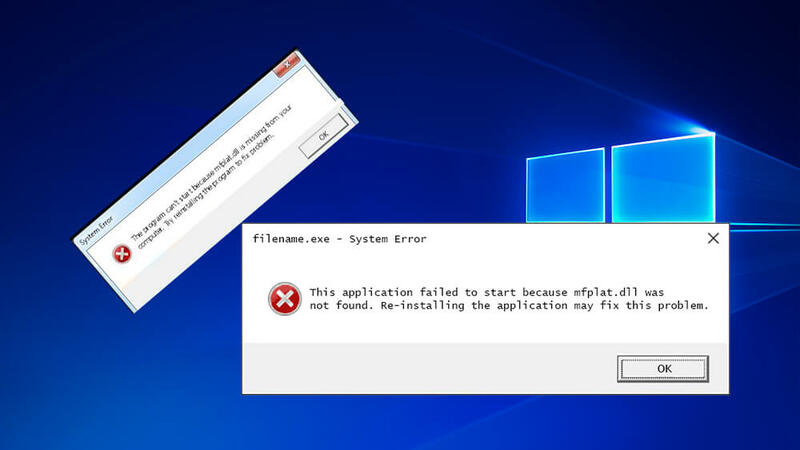 Apply the given solutions to fix the Windows 10 Mfplat.dll Error without calling any professional as this blog contains both manual & automatic solutions.